However, if the phone in the deleted photo is real, we might be looking at the first Xiaomi-owned smartphone with such a technology. 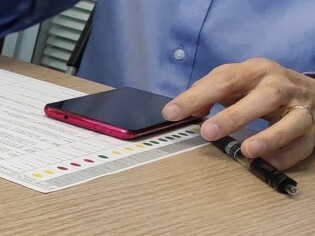 Even if it's not a phone by the Beijing company, it sure is none of the other devices out there with such a camera, because the array of noise cancellation mic, 3.5 mm audio jack and pop-up mechanism are unique so far. right, almost all brands, especially those of China, do like this. marketing strategy! Look at the picture. This phone seems to be square, not rectangular.